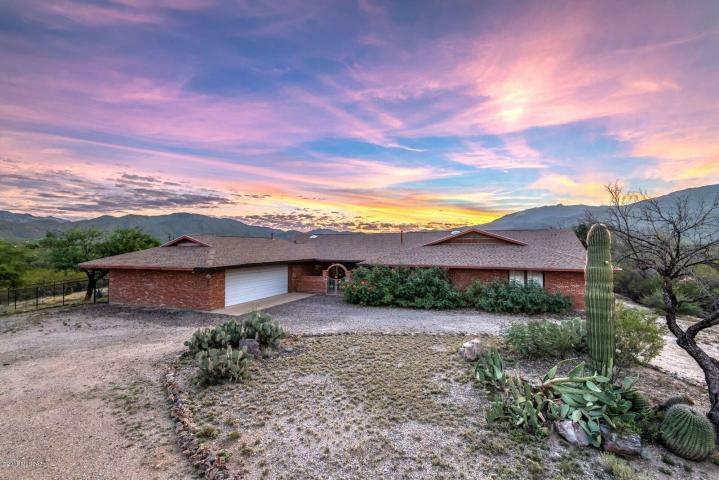 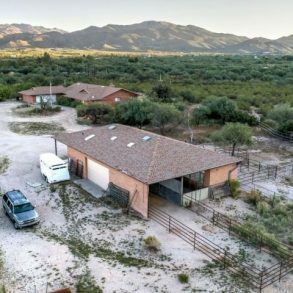 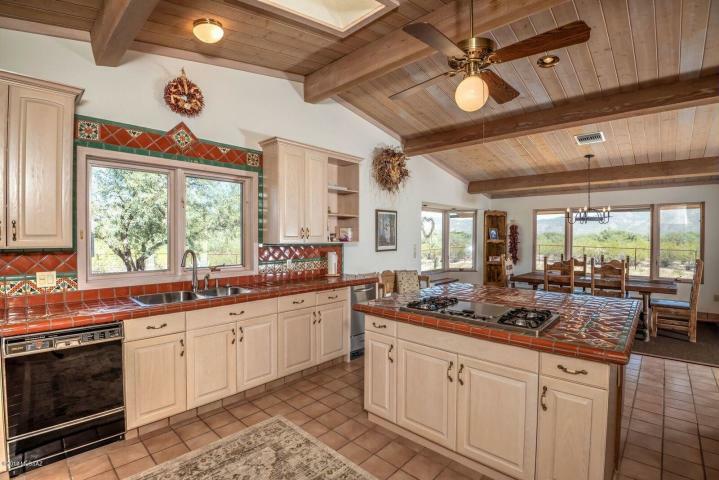 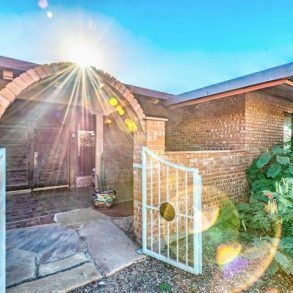 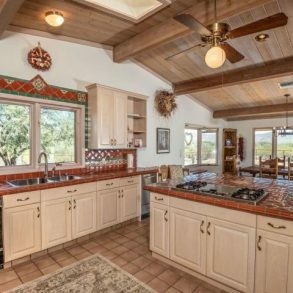 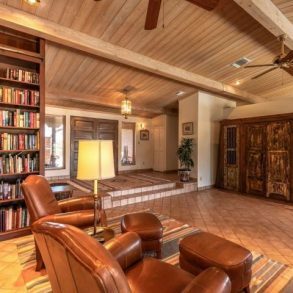 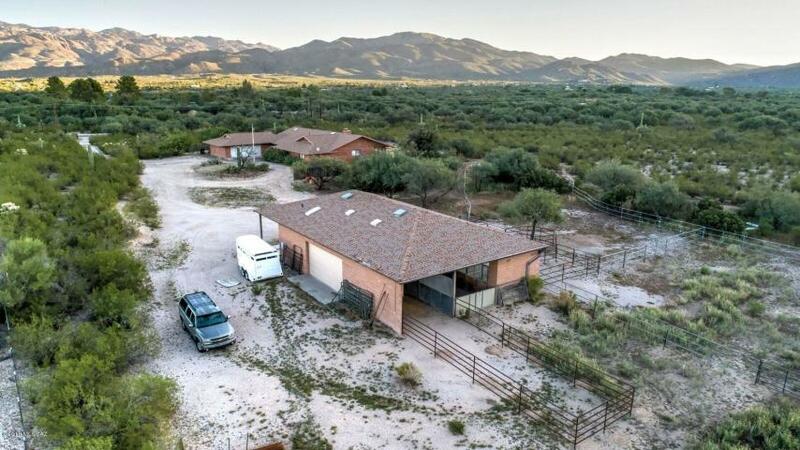 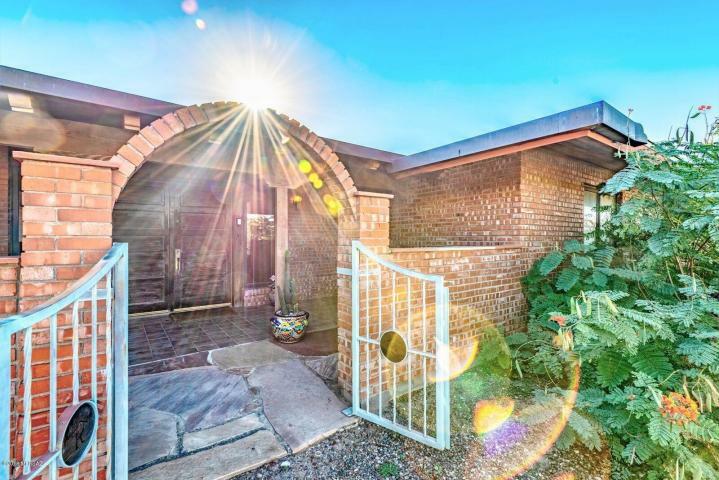 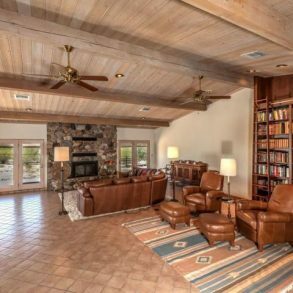 This is the ranch oasis of your dreams with horse facilities that border Saguaro National Park East! 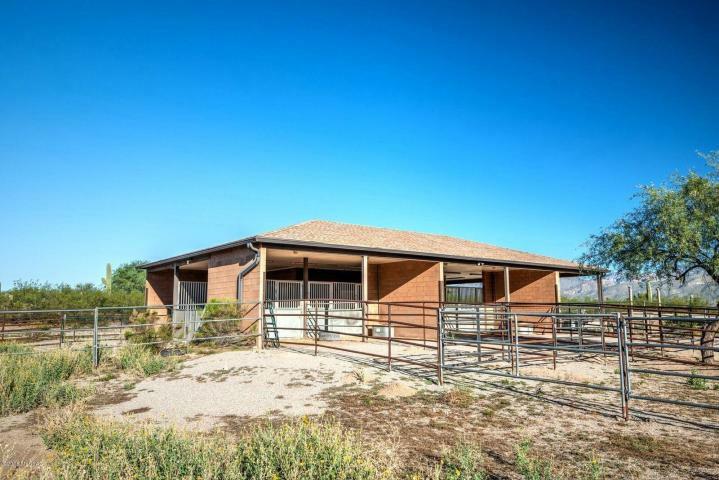 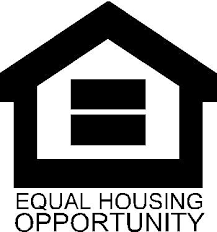 Agricultural use, Equine B&B, Veterinary Clinic, Boarding Stable, etc. 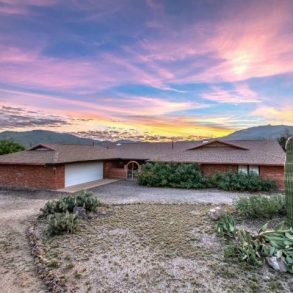 Huge 3345 sqft open floor plan home has large bedrooms, updated kitchen w/gas stove, double ovens, and large island looking into the mountains. 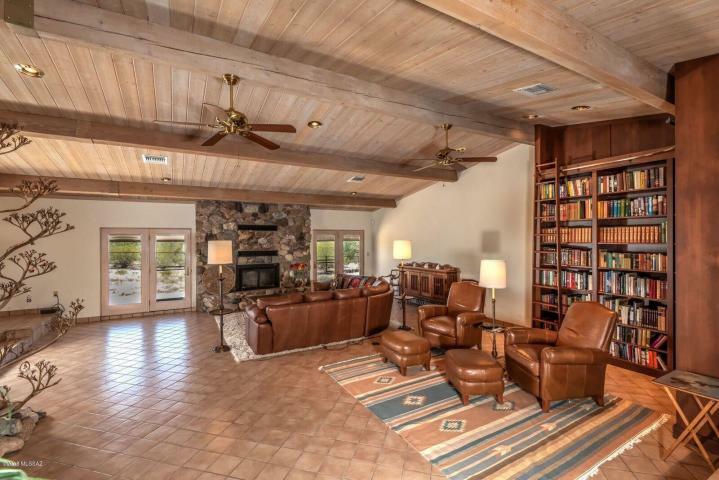 Sunken living room with vaulted ceiling, fireplace and library. 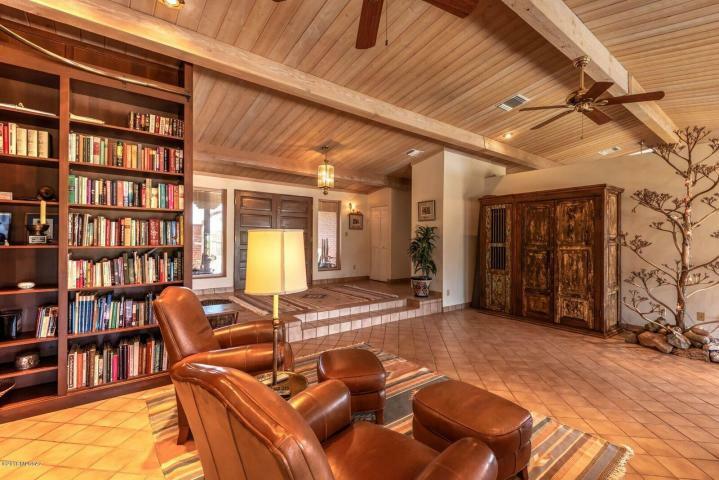 Master suite has a huge walk-in closet with a separate spa room, & Arizona room with terrace. 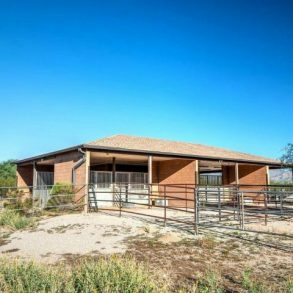 5-stall custom block barn w/oversized 14×20 foaling stall, feed room, tack room w/hot & cold water, palpation/treatment chute, paddocks, and round pen.